Jeff is the consummate salesman, with over 15 years of experience starting in retail, transitioning to auto sales, and finally into real estate. He got into real estate because of his passion for working with people and guiding them through what can seem like stressful times. 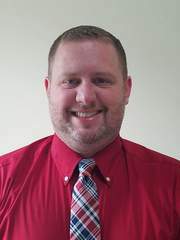 Jeff specializes with first time buyers and also sellers who have previously struggled with selling their homes. As a hard working family man, he will get to know the needs and goals of his clients and do absolutely everything in his power to ensure their happiness and success.